Good news! 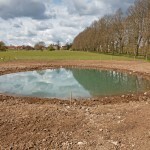 Work started on the new pond near Gid Lane in April with permission from Froyle Park Ltd. 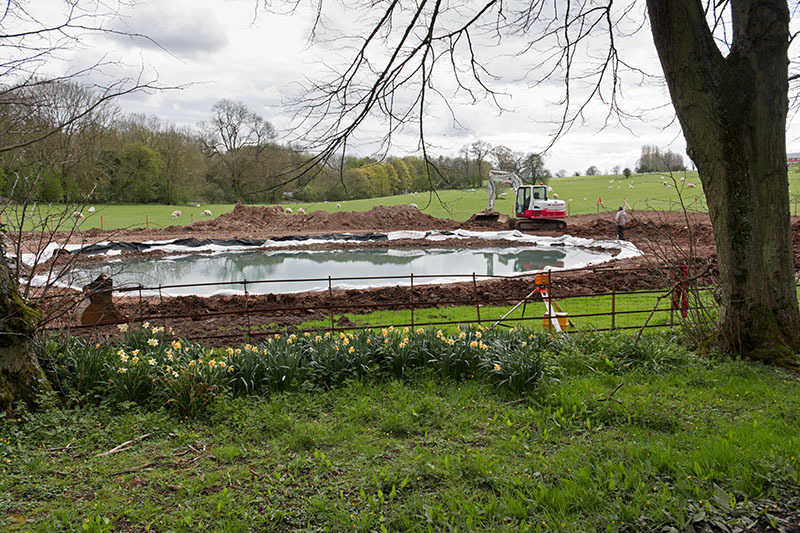 The contractor digging the pond is expected take 3-6 weeks and excavations can be seen from the footpath along the Lime Avenue. 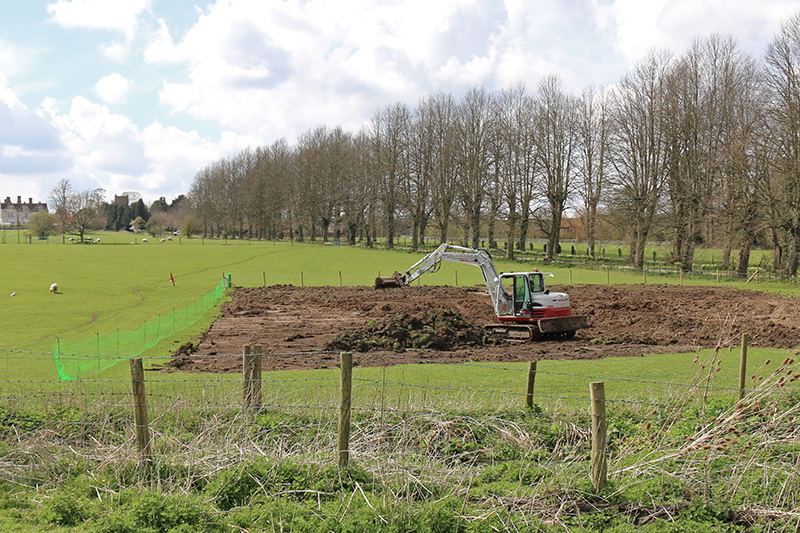 The project is funded by developer contributions through East Hampshire District Council. 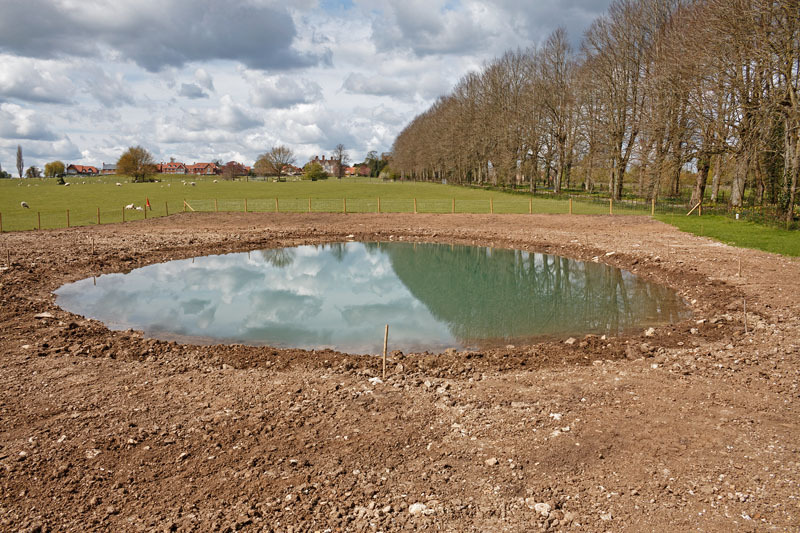 Once completed, our advice from wildlife pond experts is to let the pond colonise naturally over time, so please do not introduce any fish or pond plants. 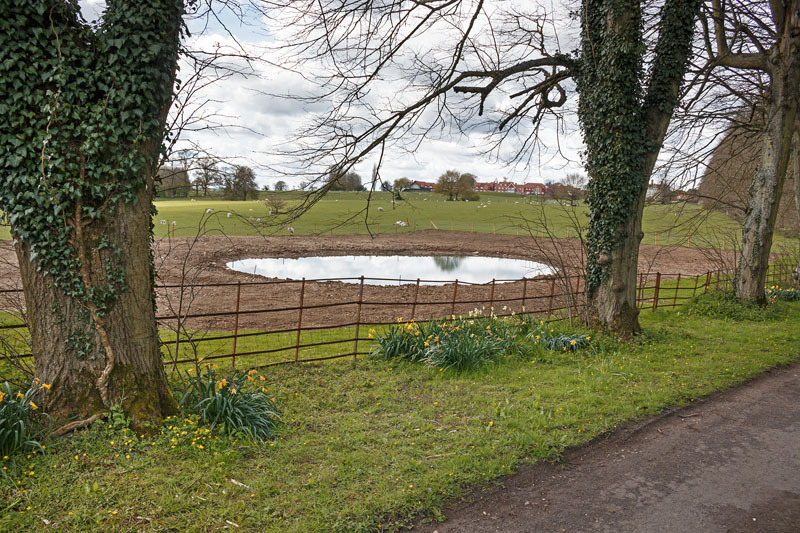 Our planning application ref 56422/001 for the pond was approved by EHDC in February 2016 and here is a link for more information:- supporting statement, site location plan and pond plan. 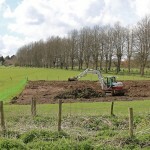 The bare soil exposed by the ground works will be sown with tussocky grass and wildflower meadow seed. This is dependant on soil conditions and seasonal timing. 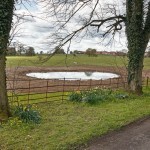 After the works are finished and the ground prepared for wildflower seed sowing there will be permitted access for members of ‘Froyle Wildlife’, a group that anyone can join. 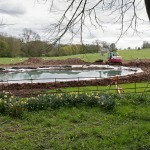 Progress updates: Photo of levelling the pond perimeter, view from the Lime Avenue and the filled pond.